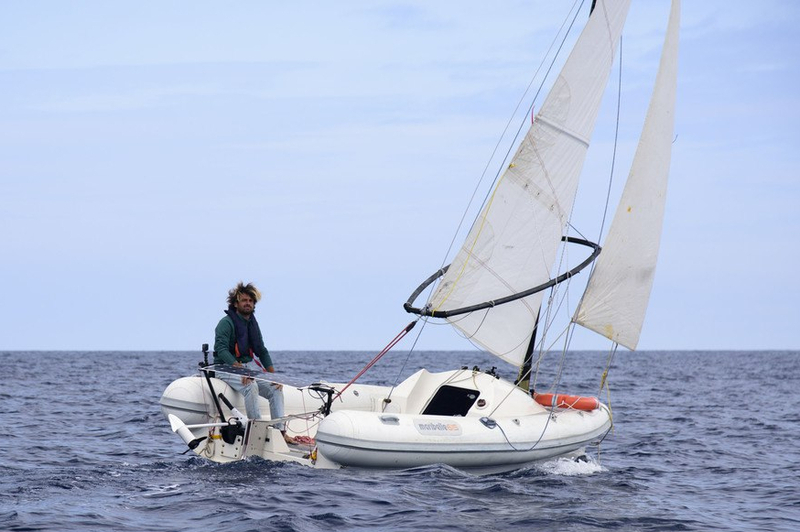 Maribelle – that is the boat’s name – is a small sailboat (6.15 m long) without any berth, designed and realized by Francesco Belvisi, a young and promising boat designer from Pantelleria (one of the most remote small islands indeed). Maribelle won several awards thanks to two very original characteristics: it is a “rubber sailboat”and its boom is a windsurf-like “wish bone”. 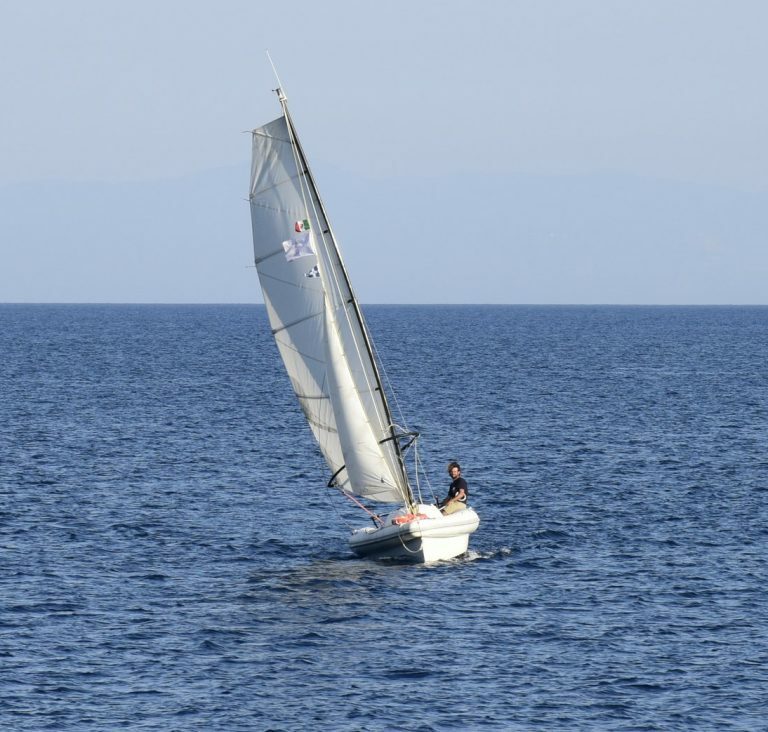 The inflatable tubes make Maribelle stabler than a traditional sailboat and therefore appropriate to single-handed navigation, whereas the wish bone makes it a funnier boat. 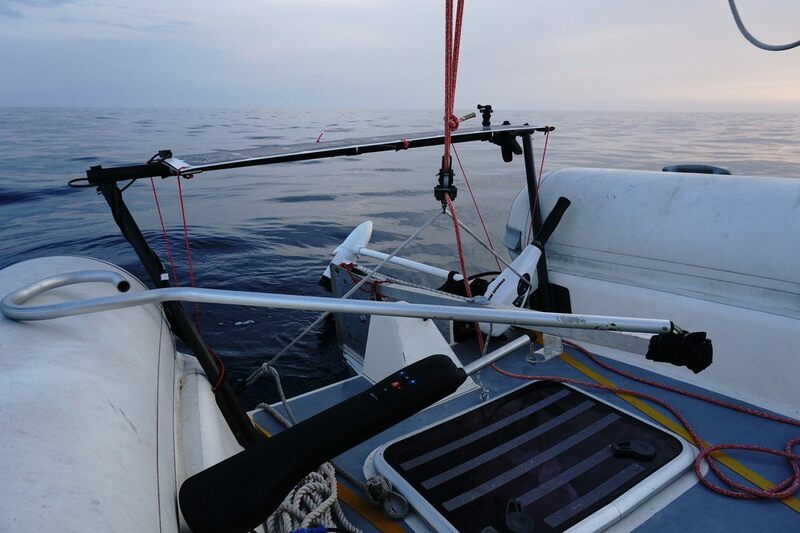 Thanks to a carbon mast, a particularly wide mainsail and a reduced weight (about 600 kg at full-load), with Maribelle you get some really cool sailing too! In the frame of the project Periplo, in 2012 Maribelle already circumnavigated Sicily in stages, followed by a support boat. several security equipment (VHF, masthead lights, lifeline, etc.). I sailed all the time, at day as well as at night, employing the electric engine only for moorings in harbors or bays. For the course, I used the naviagation software OpenCPN, free and open source, on my cell phone (a rugged one, that is, resistant to shocks and water) and the onboard compass. Maribelle made it till Venice safe and sound. After all, only a few problems did she endure during the voyage. She proved to be robust, dry, easy to sail and faithful. Even rather fast, considering her dimension and the aim she was designed with (which for sure wasn't this trip of mine! ).